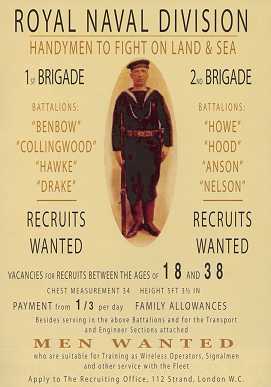 A poster advertising the Royal Naval Division, this was produced in the hope of attracting new recruits. 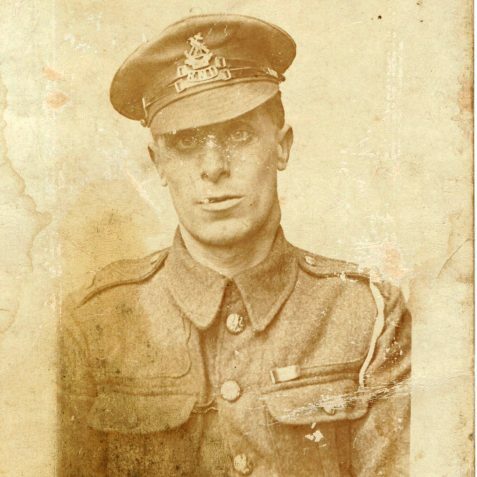 When war broke out in 1914 Alf was in his late twenties. 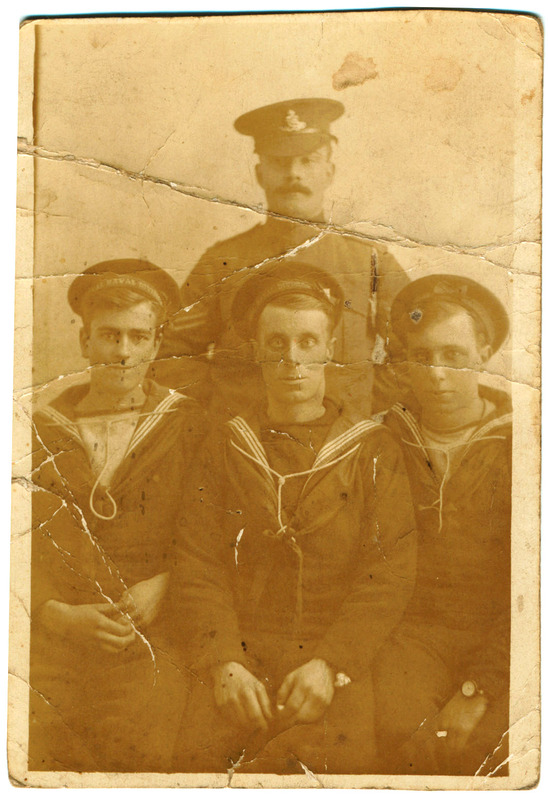 Being a member of the RNVR he was one of the first men to join the 20-30,000 sailors who had no ship. 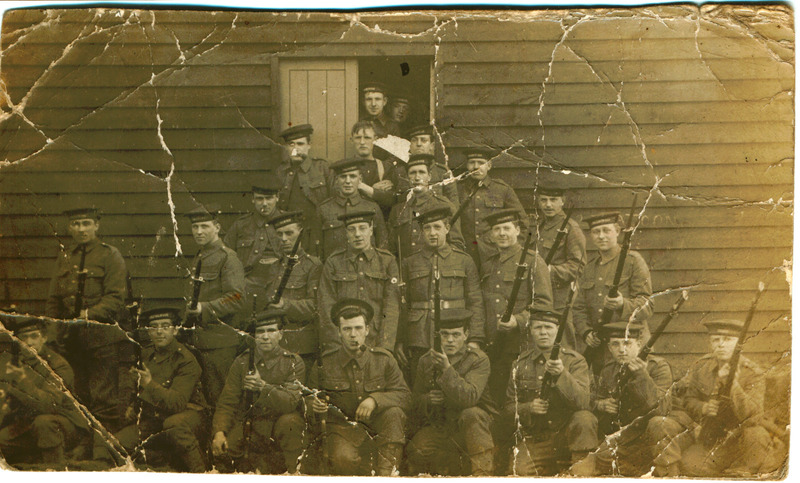 This group of men became the Royal Naval Division. This division comprised of 2 Naval Brigades and a Brigade of Marines. 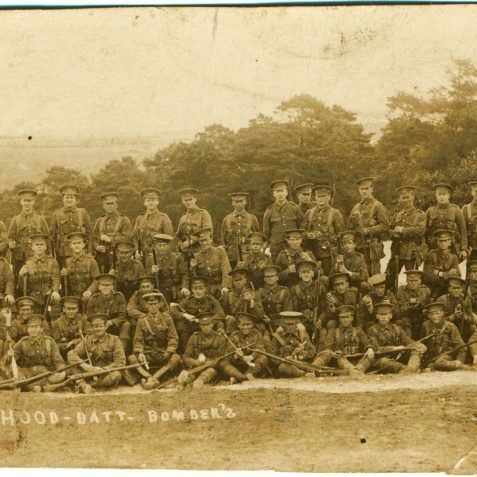 Alfred became part of the 2nd Brigade, Hood Battalion. 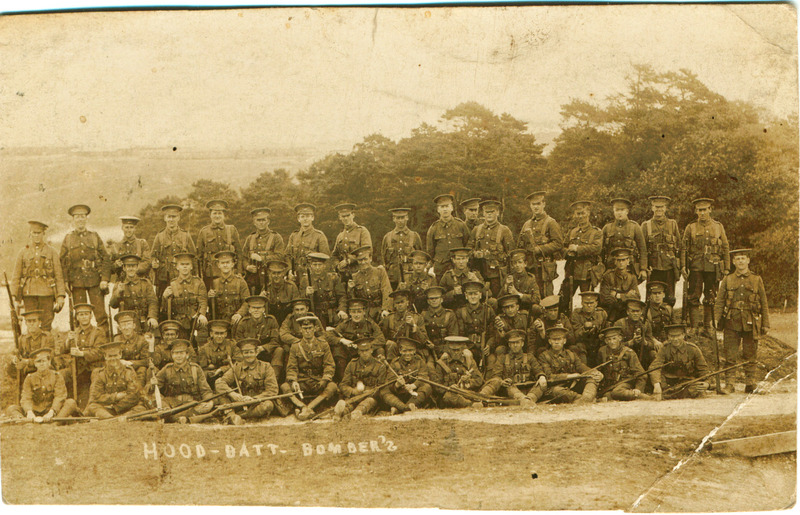 Later in 1916 the 1st and 2nd Brigades joined to become the 63rd (RN) Division. 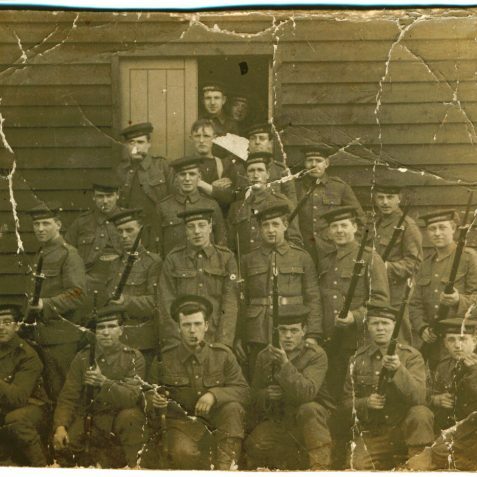 Although these men were not attached to ships they still followed the Naval traditions of rank and fought alongside the Army in the major theatres of war, including, Antwerp, Gallipoli and in the French trenches. They received Naval pay, which was slightly better than Army pay. He also received a letter from BuckinghamPalace wishing him well on his release. Like many returning men he didn’t talk about his experiences very much, understandable after the horrors of war. Florence would ask the children not to press him on the subject. 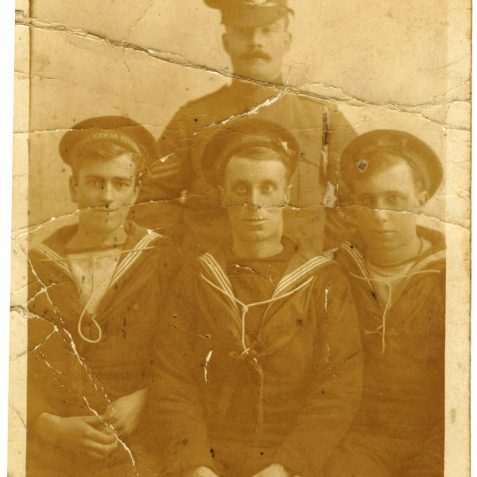 However, he did have a picture hung on his wall of the collierRiverClyde being shelled off the Gallipoli beaches as a small memento to the many sailors and soldiers he had fought along side on that disastrous campaign and had lost their lives. 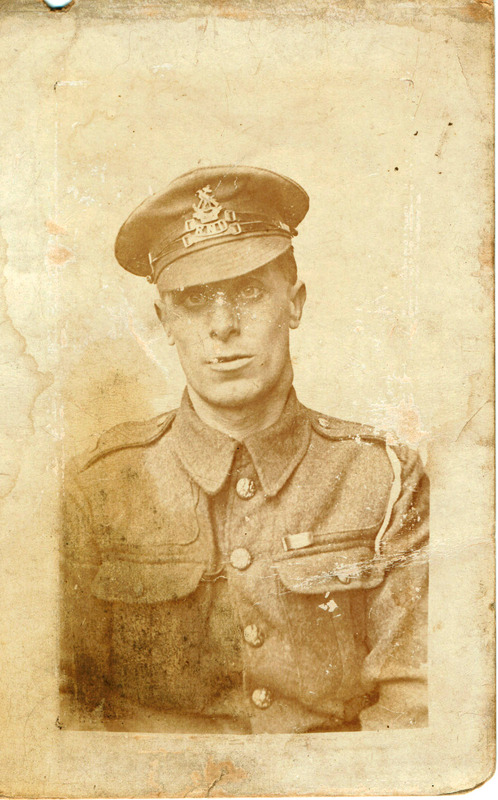 More about his life can be found at ’55 Church Road’ Portslade on this web site.